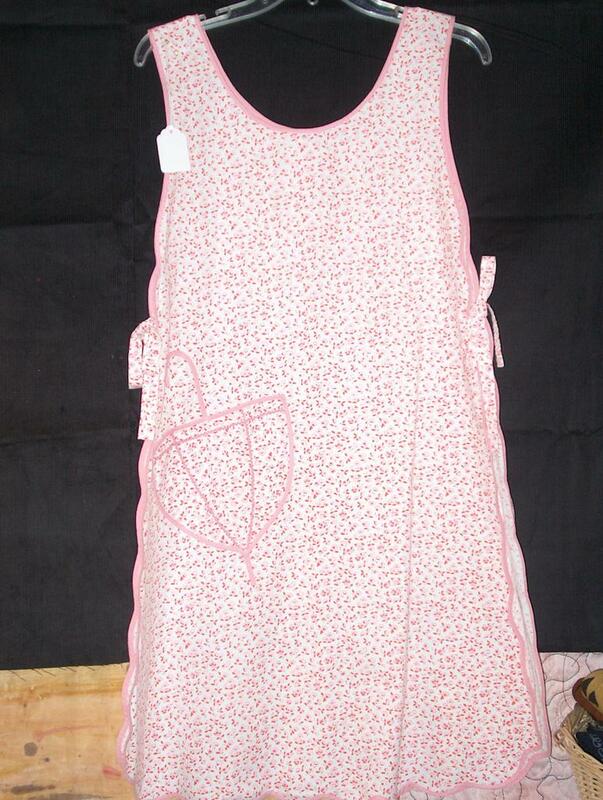 I"m not sure which style this apron falls under but I bought it because it just screamed "adorable". The pink umbrella just spoke to me I guess. I've been looking for the rest of my aprons, I have lots of them, just not sure where I put them. One of htem, that I shredded, is still hanging in the closet. I should take a picture of that one. It's one of those impossible sheer numbers. I suppose an apron such as that would have been worn on New Years Eve or on ones anniversary.